Media Messages Perth is one of Western Australia's favourite and most reliable providers of quality telephone message on hold programs. With 6-state-of-the-art studios based at their head office, and the ability to supply broadcast quality audio productions to your telephone lines with tight deadlines - you can be rest assured that you are dealing with true audio professionals. Plus with have a number of message on hold models, and you are sure to find a package that best suits your business and marketing structure. Media Messages Perth has an in-house team of creative copywriters, voiceover artists and audio engineers dedicated to producing impressive productions that are sure to entice your callers into asking about your amazing products. The team at Media Messages see daily how powerful telephone on hold messages are, but we want you to hear the potential ... and that's why we're willing to put our money where our mouth is. See for yourself what On hold messages can do for you, and let us script, record and produce your very own custom on hold message at no cost to you. Research has shown that the Australian public relate better to a structured on hold system, and businesses playing a professionally scripted, voiced and produced on hold message program is likely to see a significant drop of caller hang-ups compared to those playing chimes or silence. I mean chimes are just seriously annoying, and silence sounds as if you have been disconnected. The radio may seem like a great alternative, but did you know that you have to pay for the right to play the radio on your commercial telephone lines. Furthermore, you don't have any control over the content, resulting in playing inappropriate content and/or your competitor advertisements. Telephone messages on hold is a great way for your business to continue with its marketing efforts internally, and will make you sound much more professional. 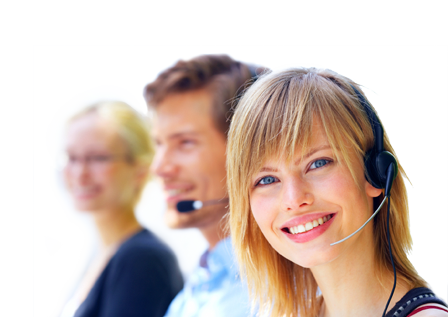 You will also see an increase in phone inquiry, which would hopefully lead to sales conversion. Message 1: Did you know that you don’t need a referral to see a specialist Orthodontist? While many of our patients are referred to us by their family dentist, if you don’t have a referral and are looking for a consultation or even a second opinion, then we are here to help. Message 2: The Australian Society of Orthodontists recommend that children should have their first Orthodontic evaluation by seven years of age. Whilst Orthodontic treatment may not be necessary at this age, a thorough examination can be timely in the detection of early problems and provide an opportunity for the most effective treatment program to be implemented. Message 3: Many people think that Orthodontic treatment is just for children. Actually, a large percentage of our patients are adults, and they agree that it’s never too late to improve their greatest asset - their smile. Don’t let your customers hang up anymore! Media Messages can create for you your very own personalised voiceover demos, then once you have a listen we know that you will want your very own polished, informative and entertaining on hold messages to suit your individual business. 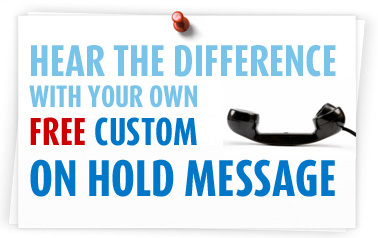 To get started, just call Media Messages today and they will be able to share with you all the benefits!